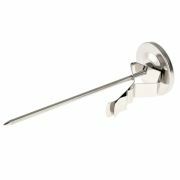 The easy-to-read dial on the Rhinowares milk thermometer allows for quick and accurate measure of textured milk and other beverages. The thermometer is 13 cm long. 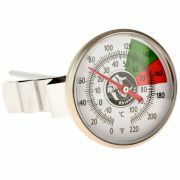 Temperature is shown within the range of -18 to 104 degrees Celsius, and it has a marked range for recommended milk temperature. 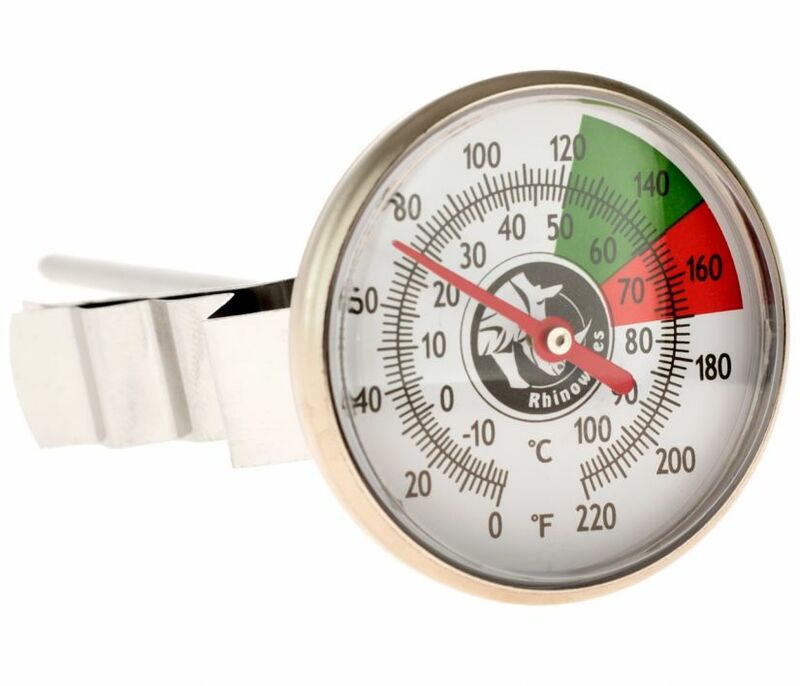 The thermometer is also equipped with a stainless steel clip with adjustable height, allowing the thermometer to sit perfectly in a milk pitcher. Do not leave in hot oven or microwave.